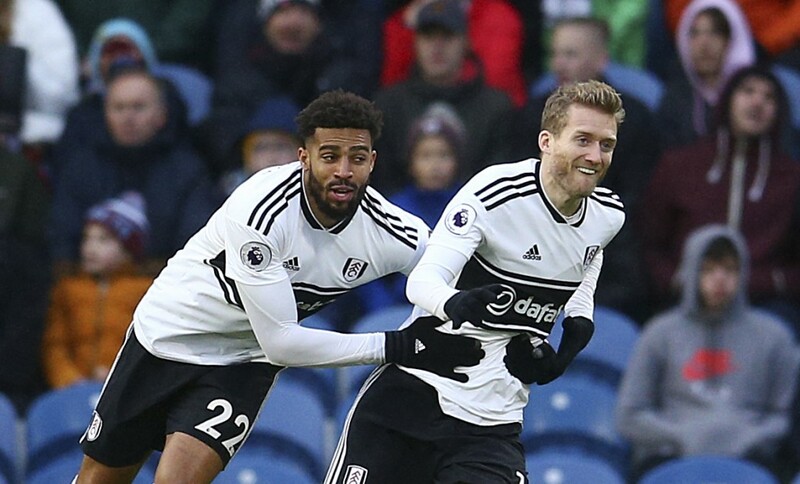 Fulham's Andre Schurrle, right, celebrates scoring his side's first goal of the game during the English Premier League soccer match between Burnley F.
BURNLEY, England (AP) — Burnley profited from two Fulham own-goals in quick succession as it came from behind to win 2-1 at Turf Moor despite not registering a shot on target in the English Premier League on Saturday. 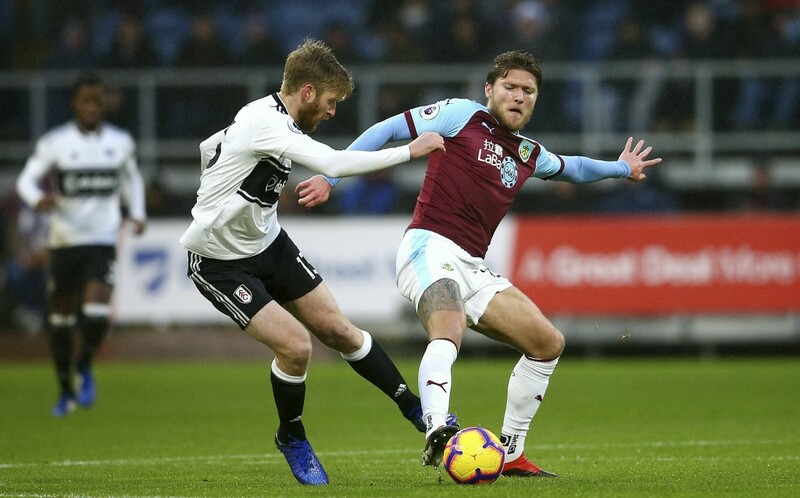 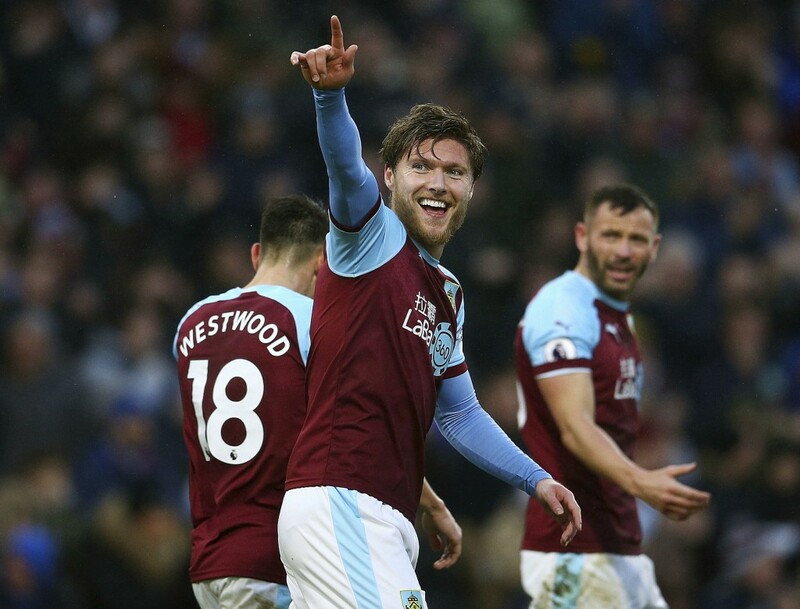 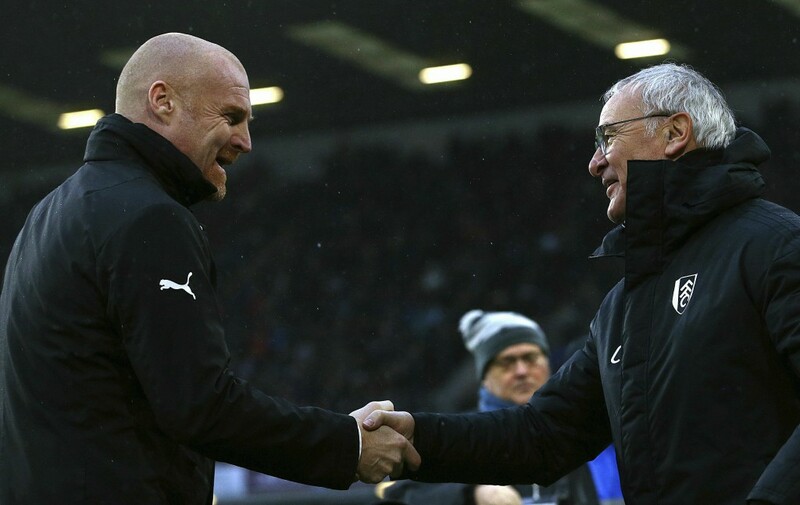 Burnley held on to record a third consecutive league victory, further easing its relegation fears, while second-to-last Fulham was five points from safety. 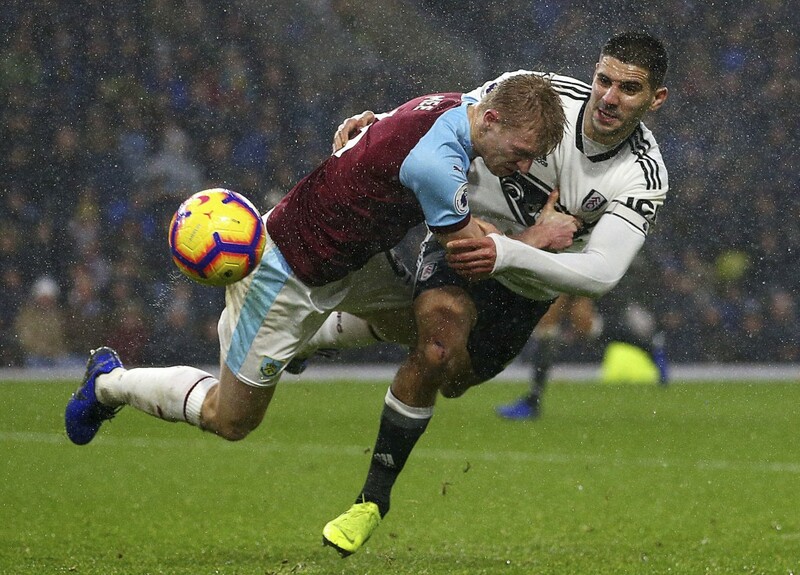 Fulham has won only one of its last nine league games.